Muqdadiyah (Iraq) (AFP) - Iraqi forces have "liberated" Diyala province from the Islamic State jihadist group, retaking all populated areas of the eastern region, a top army officer said on Monday. "We announce the liberation of Diyala from the (IS) organisation," Staff Lieutenant General Abdulamir al-Zaidi said. Iraqi forces have regained "complete control of all the cities and districts and subdistricts of Diyala province," he said. 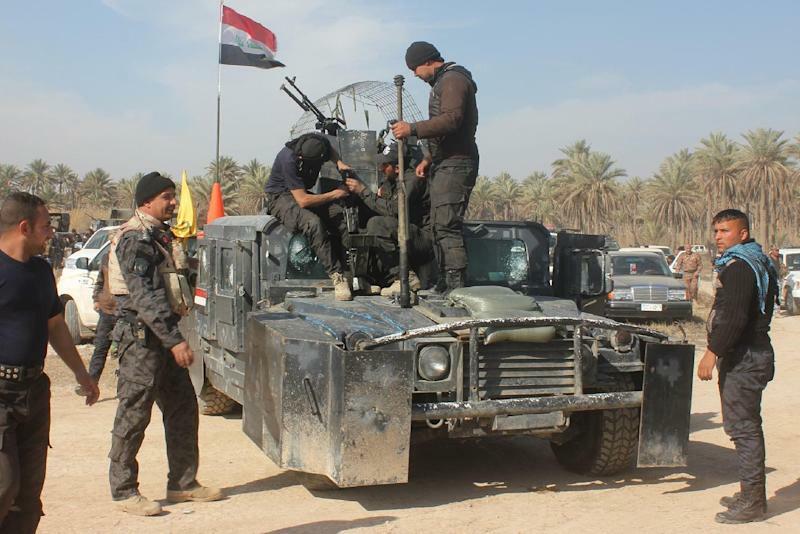 Diyala has seen months of fighting, especially in the Jalawla and Saadiyah areas in the province's north, which were held by IS, and areas near the town of Muqdadiyah, which the militants repeatedly attacked but never took. Zaidi said that 58 members of pro-government forces were killed and 248 were wounded in the fighting, while "more than 50" IS fighters died. He added that there are thousands of bombs left behind by IS in villages north of Muqdadiyah, which will be a major challenge to clear. The general said that there will still be further fighting against IS in the rural Hamreen mountains, which stretch across multiple provinces, including Diyala. The victory could see more forces brought to neighbouring Salaheddin province, potentially including militant-held Tikrit. IS spearheaded a militant offensive that began in the northern city of Mosul in June and swept down to overrun much of Iraq's Sunni Arab heartland. Iraqi federal forces, Kurdish troops, Shiite militiamen and Sunni tribesmen are all fighting against the jihadists in various parts of the country. A US-led coalition is carrying out air strikes against IS in both Iraq and neighbouring Syria, and also advising and training Iraqi forces. Monday's announcement does not mean the problem of violence in Diyala -- which suffered from frequent attacks even before the IS drive -- is over.